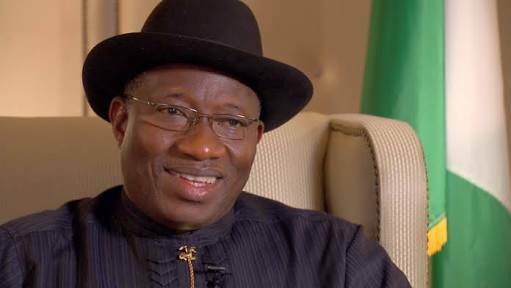 Ex-president Goodluck Jonathan says Nigeria’s economy slipped into recession after he left office because the APC used “their malicious propaganda” to tear the country’s economy into shreds. Jonathan said this in his book entitled ‘My Transition Hours’. In the book, Jonathan said rather than consolidate on what his government had achieved, the APC administration went on “persecution spree”. The ex-president said the claim of inheriting an empty treasury is false. “Recall that the opposition and their sympathisers and campaigners, both local and international, with their malicious propaganda, tore our economy to shreds, threatened our stability and existence as a nation and intimidated our citizens, all in the bid to take over power,” he wrote. “Rather than forge a coalition and build on the momentum we had gathered when they eventually took office, they went on a persecution spree and vengeance mission. That the country slipped into recession soon after we left office was a self-inflicted injury caused by misplaced priorities. The narrative of inheriting empty treasury is a blatant lie. “It is also instructive that the oil and gas sector constitute about 11 percent of our GDP. There had to be a wider causative factor than just the fall in world crude prices. “It also amounts to standing facts on their heads to continuously claim that recession was caused by so-called mindless looting. The truth is that the opposition, in a bid to undo our government, became its own undoing when it got to power, because of the burden of justifying deliberate misrepresentations. “There is wisdom in the saying that if you win a prize and get the crown, don’t go around destroying the person who previously held that prize; it will lose its value. He said with the calibre of people he had in his government, no one could say they were clueless. “Just consider that my minister of state for health, Dr. Muhammed Ali Pate, is now a professor at America’s Duke University, as well as a Senior Adviser to the Bill and Melinda Gates Foundation based in Washington DC. My minister of Agriculture, Dr. Akinwunmi Adesina, is now the President of the African Development Bank (AfDB),” Jonathan wrote. “My Co-ordinating minister, Mrs. Ngozi Okonjo Iweala, is the chairperson of the Board of the Global Alliance for Vaccines and Immunization (GAVI) and the African Risk Capacity (ARC). She also sits on the board of Twitter and the Asian Infrastructure Investment Bank, just as she is a Senior Adviser at Lazard and a Director at Standard Chartered Plc in the United Kingdom, amongst others. “My minister of communication technology, Dr. Omobola Johnson, is currently chairperson of custodian and Allied Insurance Limited as well as the Global Alliance for Affordable Internet. And it is not just members of my cabinet. Others who served with me in different capacities are also soaring on the world stage. “A good example is Ms. Arunma Oteh, who I appointed the Director-General of the Securities and Exchange Commissnon (SEC). Under her steady and skillful direction, Nigeria’s equity market grew in metric proportions, and by the time I left office in 2015, the market had tripled in size to $150 billion in value. Two months after I left office, Ms. Oteh was appointed a Vice-President and Treasurer at the World Bank. “With such personalities on my cabinet, no one can factually say we were ‘clueless’ or inept..."